By the time the late ’90s rolled around, Phish had become a massive entity and musical force of nature, whose live shows contained a large scale production. No, there were no pyrotechnics, (except on 7.4.00), but the crisp sound and elaborate, other-worldly, lighting rig gave the shows a fantastical feel- something outside the realm of conventional reality. Half the fun was being overwhelmed by the size of the music and the show, as Mike’s bass filled your chest, and Fishman provided your heartbeat. The monstrosity of what happened on stage was mind-altering. After seeing the band so many times in arena and amphitheatre settings, when Phish played small clubs, the experience took on a whole new feel. No longer was Phish a mechanical monster opening its razor sharp jaws to the pavilion, but a ripping band on stage playing music. It all seemed more intimate and real- the monstrosity was gone. Instead of silhouettes in smoke and magical lights, you actually saw the faces of the band members and watched them communicate. That massive production was scaled down into the size of your average concert, and for Phish, that changed the course of the evening. Everyone in the room felt more connected in the same experience, unable to escape to the lawn or the corridors if the desire struck. The focus on the visual candy that was Kuroda’s light show was absent, changing the majestic appearance, but often intensifying the music that showered the crowded floor from a much closer proximity. Not only was there an alternate aesthetic to the experience, the music actually sounded different. With far less space for the music to travel, the band often played more notes in their phrases. Conversely, when playing on huge open-air festival systems, the music often slowed down to a crawl to allow the music to bellow forth and cover the extensive fields. This phenomenon was often most translated through Mike’s playing. Instead of playing his spacious wide open bombs that resonated through your imagination, he tended to play more complex melodic lines, keeping your ears alert as his glue held the bands diverse musical patterns together. Although some counterexamples to this trend can be found in the initiation of the Summer ’97 funk in Europe, over the course of their career, this held true. (See Ghost video below for a great example of the “club style” that I am describing!) Moving the improvisation along a different course, some jams played in clubs you would never have heard at MSG or Hampton- they wouldn’t have translated. Along with all of these experiential differences, there was also a distinct difference in the vibe of the crowd. Usually taking place in an international country, or a special club like The Fillmore or Roseland, for which people gave an arm and a leg for a ticket, there existed an enhanced sense of mutual respect. With only a few hundred to a few thousand people present for the music, tickets to these shows didn’t fall into the hands of the folks who stood around, distracted others, and talked during shows. 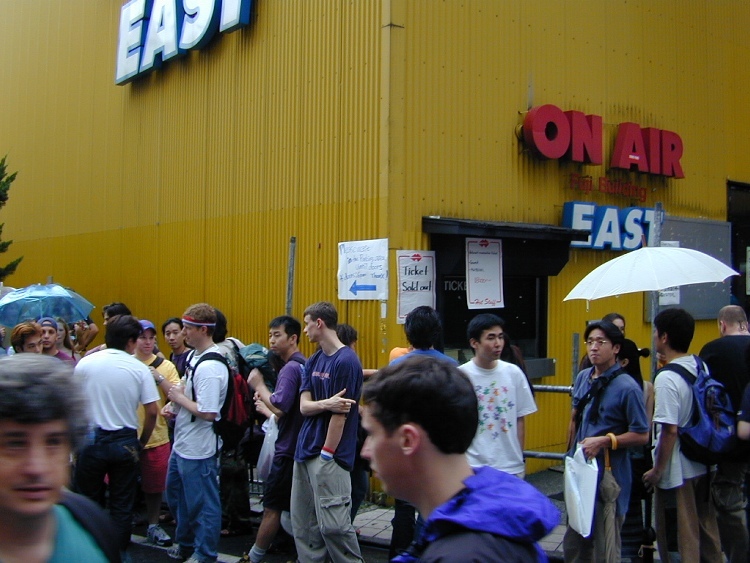 A more focused musical audience, especially in Japan, was one of the supreme perks of club and international Phish. 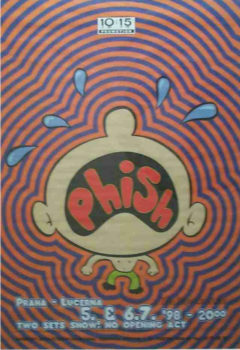 People weren’t there for the lot, or to sell drugs- people were there for Phish and Phish only- the vibe was pure. Friendliness was contagious at these shows, as every person felt the same privilege to be in attendance; egos tended to fall by the wayside- “We’re all in this together, and we love to take a bath,” took on a whole new intimate meaning. Instead of dispersing all over the land of the brave and free, after these international club shows, most fans would reunite at bars and nightclubs to carry on the festivities together; a sort of traveling party. Often, band members would slip in, further shattering the barriers between the fans and band. Americans mingling with Japanese and European heads using the international language of Phish as common ground; ’twas a beautiful thing. Without the concern of police harassment due to overwhelming numbers of hippies, you could navigate the cities in your post-show euphoria without a care. The world was your oyster- checking out places you’ve never been by day, and capping each evening with a hearty dose of Phish. Is that not the perfect vacation? In the grand spectrum of Phish experiences, the small club show was an irreplaceable gem that not all fans got to take part in. Therefore, for those of you who haven’t seen a club Phish show or even heard much club-sized Phish, I have put together Miner’s Picks: Club Phish. With seven hours of small-sized Phish highlights from 1997-2000, this sampling should give you a taste of what Phish does when contained in a smaller tank. Enjoy!! DOWNLOAD MINER’S PICKS: CLUB PHISH PT. 1 <<DOWNLOAD NOW!! DOWNLOAD MINER’S PICKS: CLUB PHISH PT. 2 <<DOWNLOAD NOW!! 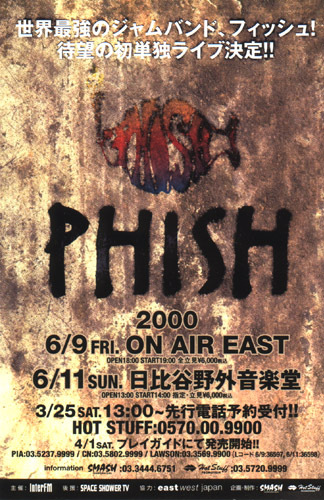 Another show that flew somewhat under the radar in an amazing Fall tour of 1998, this show has a little bit of everything. A ripping opener of Punch followed by a slow as molasses, Gumbo started the show with a bang. But it’s all about the second set of this one. Opening with a 25-minute ripping Halley’s Comet that explores some maniacal territory while also containing plenty of grooves, this set is one of the best of Fall ’98. This Halley’s immediately stood out as a huge tour highlight, as the end gave way to some lighter fare in Simple > Walk Away. With an impeccable Limb by Limb and a disgustingly groovy, lesser known, Ghost to end the set, Phish hit a winner on this evening. Check it out. In other Phish Thoughts news, notice the “Miner’s Pick’s” clickable download links all along the right column of the front page. You no longer have to scroll or click through the site to find the entire Miner’s Picks Series. Cheers. This entry was posted	on Thursday, September 25th, 2008 at 4:32 am	and is filed under Uncategorized. You can follow any responses to this entry through the RSS 2.0 feed. Both comments and pings are currently closed. Thanks for the picks Miner, can’t wait to listen to them! This Rules! So much of the best of Phish! The clickable links to Miner’s picks is awesome. Thanks for the easy download action!!!!! Great club selection as well! whoops. What that should say is, while I THOROUGHLY enjoyed seeing My Bloody Valentine in some sweet theaters and clubs there, I couldn’t help but think what it would have been like to see Phish there. 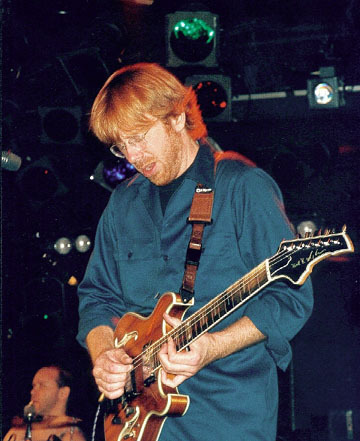 It’s cool going to the places Phish used to play, and just imagining what went down, ie. Bogarts in Cincinnati, Mississippi Nights in St. Louis, etc. Please post more pics from Japan. I was there, but lost all of my photos. I didn’t have tickets, but went to Japan anyway. I got in to all the shows. Yea! Try http://www.jlees.net/japan/japan.html he has some cool photos too.